Although autism is primarily a developmental disorder that affects communication and behavior, some studies suggest there is an inflammatory component of the condition. While there is no strong evidence to support any one particular diet for treating or curing autism, diet can have a significant impact on the body’s inflammation. Certain foods are thought to increase systemic inflammation and some foods can help lower inflammation. The most inflammatory foods are ones that are processed and contain many additives including lots of added sugar and oils. Usually these foods have been changed dramatically from their original form. That means the healthiest (anti-inflammatory) foods are whole foods, ones that aren’t processed and that contain few added ingredients. These are your fruits and vegetables, fatty fish, many nuts and seeds, herbs, and spices like turmeric, cinnamon, and ginger. Inflammation may be a component of autism. Certain foods can help less or exacerbate inflammation. Anti-inflammatory foods are the best ones to add to an autism diet. You can also find more snack ideas here and here. Select 1-2 snacks to try. Add the ingredients to your grocery list if you don’t have them at home. 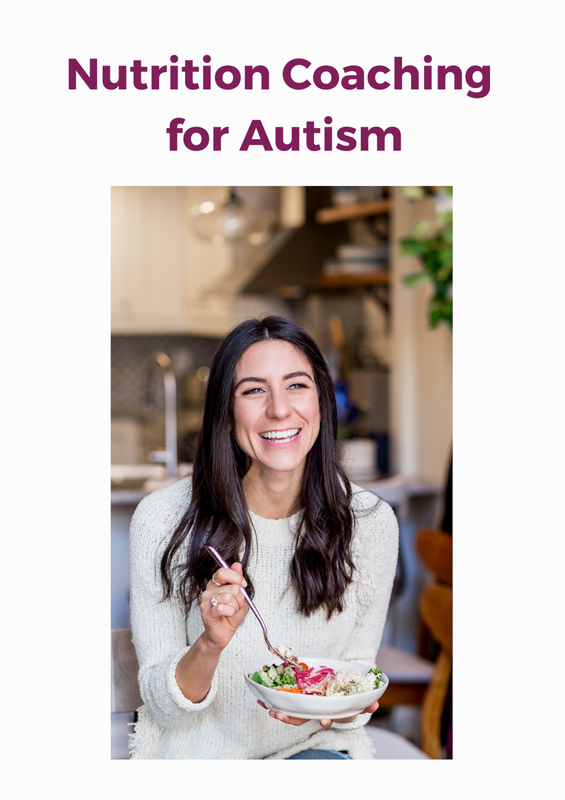 My autism nutrition program is perfectly designed for kids with autism who have limited diets and trouble trying new foods. If you worry your child won’t eat anything of those anti-inflammatory foods, sign up for a FREE coaching call to get the support you need to expand his or her diet. Note that I have an advertising relationship with some of the stores linked in this post. I may earn a commission if you make a purchase after clicking on a link. I only recommend products that I use and love.